Our beautiful venues offer you delightful settings for your wedding ceremony and our team will make your time with us absolutely unforgettable. At GreenAcres, you can make your ceremony truly your own and there are many ways that you can personalise your day with us. Perhaps you might like to welcome your guests with drinks and entertainment or you could opt for celebratory cocktails and canapés after your ceremony. The choice is completely yours and we’ll be very happy to introduce you to our preferred suppliers who can help with everything you might need during your time with us and even when you leave us for your reception. 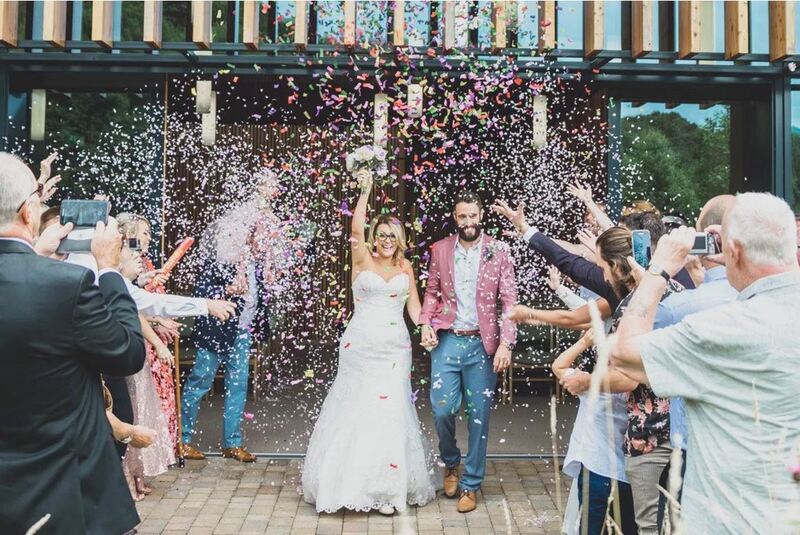 When you book your wedding with GreenAcres, you’ll enjoy exclusive venue hire, a choice of locations for your ceremony, the assistance of a GreenAcres wedding coordinator before your wedding day and for the duration of your hire in addition to many other benefits. To find out more about woodland weddings with GreenAcres or to arrange your showround, do get in touch.